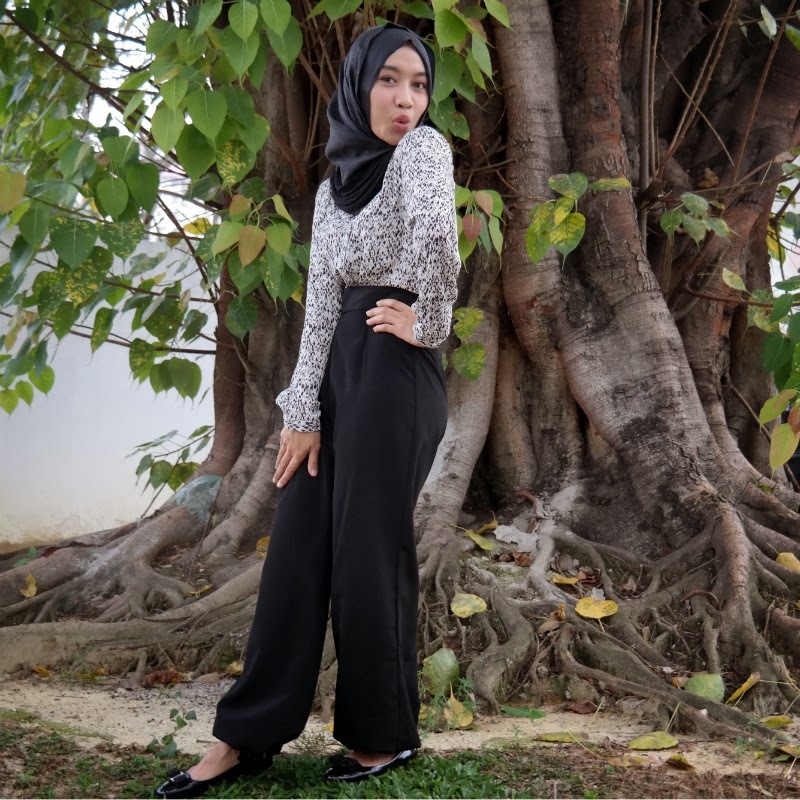 Hasanah wore pants by ARNADIA. Look at how she's prancing around in those pants! And she says she doesn't like her OOTD's to be taken? Sheeesh. Hehe. Wait for it to be released very soon ya. 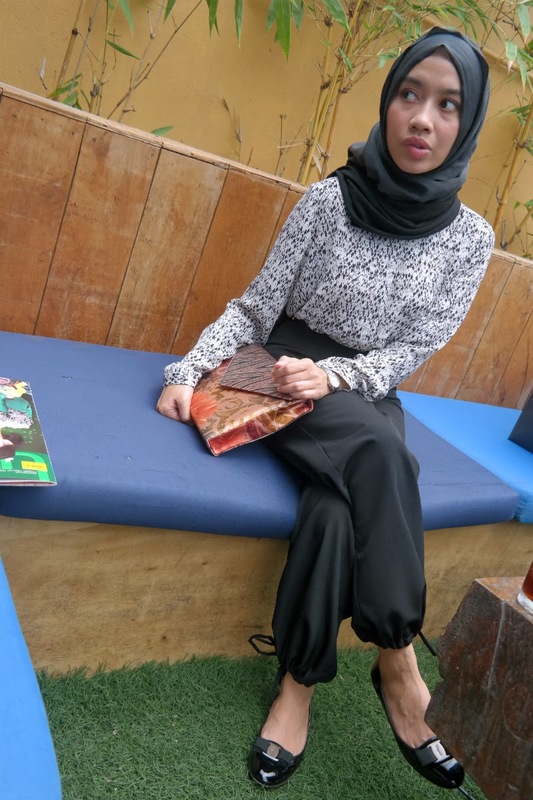 I wore my mother's vintage clutch which she loved so much! 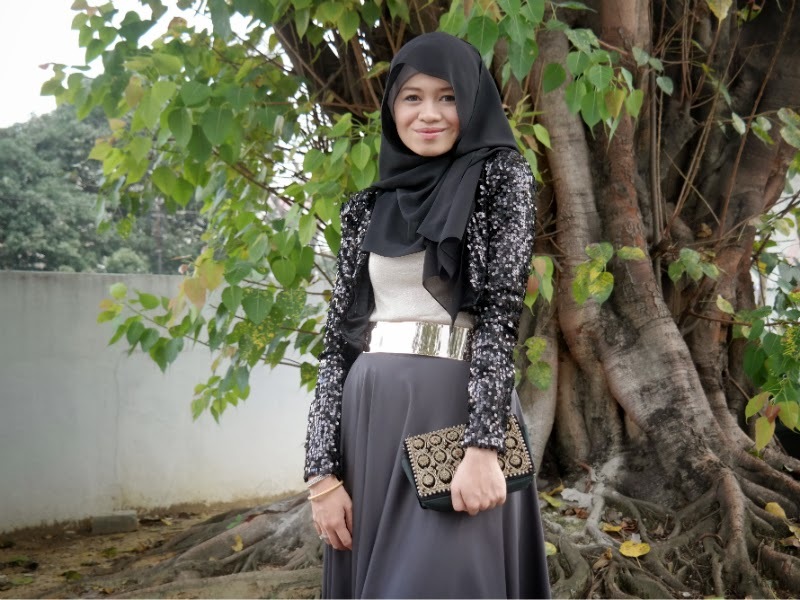 I also wore my favourite shawl by Paripari and cropped sequinned jacket by Fashion Valet which I've blogged about in Yuna at Istana Budaya. 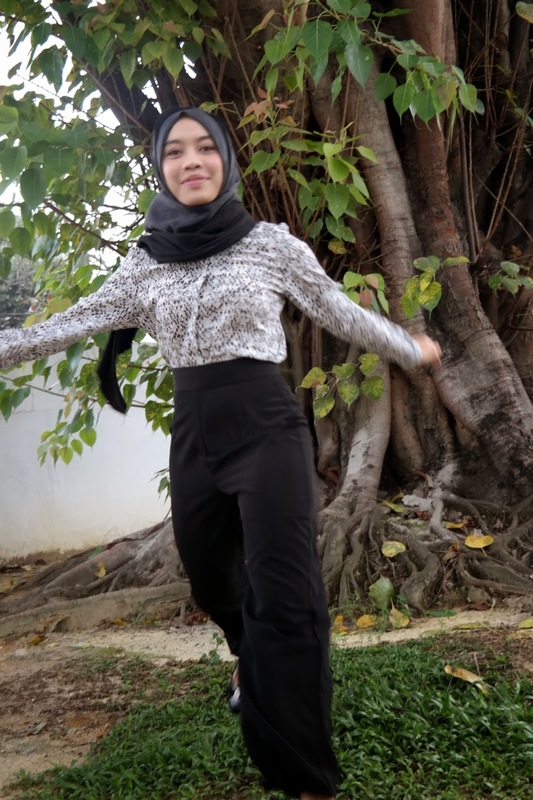 Pictures were all taken by Hasanah Hilmi since my husband is away in London for a work trip. 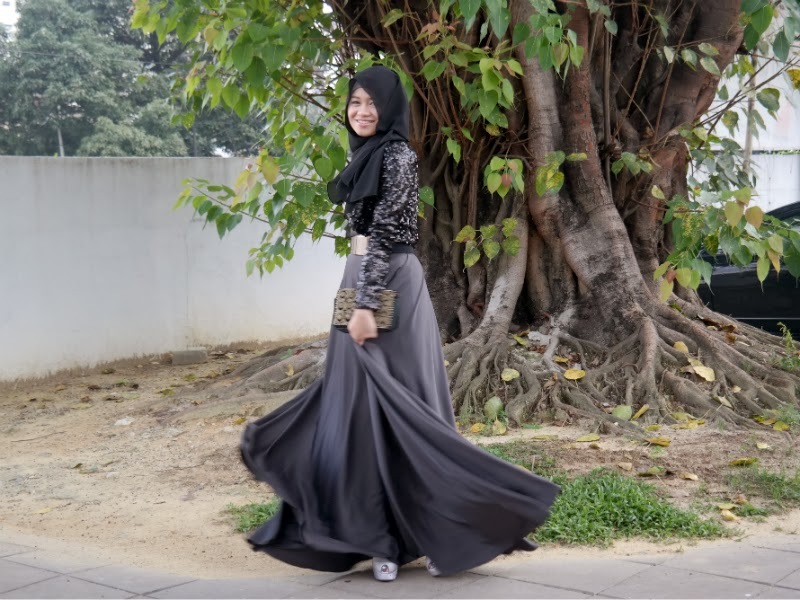 owh dear ,love the flowy skirt.when it will be online, would love to keep it in my closet.update soon please pretty please.